In early September, the Israeli government announced an agreement with Facebook “to work together to determine how to tackle incitement on the social media network.” The announcement came about 10 days before Facebook disabled the accounts of editors at two of Palestine’s most widely read online publications, prompting widespread online protest. Users had flagged the accounts as being in violation of Facebook’s community standards. States pressure private companies to engage in such agreements through shaming or “demonizing,” as well as threats of blocking, fines, or even imprisonment of company executives. They often justify this pressure by citing the companies’ own voluntary and proprietary terms of service and community standards, whose definitions of permissible speech are narrower than those encoded in their own constitutions or in the International Covenant on Civil Political Rights (ICCPR). Article 19 of the International Covenant on Civil and Political Rights (ICCPR)—to which Israel is a party—permits states to limit an individual’s freedom of expression only under select circumstances, including to protect the rights or reputations of others, national security, public order, public health, or morals. These limits, however, must first meet a three-part test as defined by the ICCPR: the limits must (1) be defined by law, (2) have legitimate aim, and (3) be truly necessary. 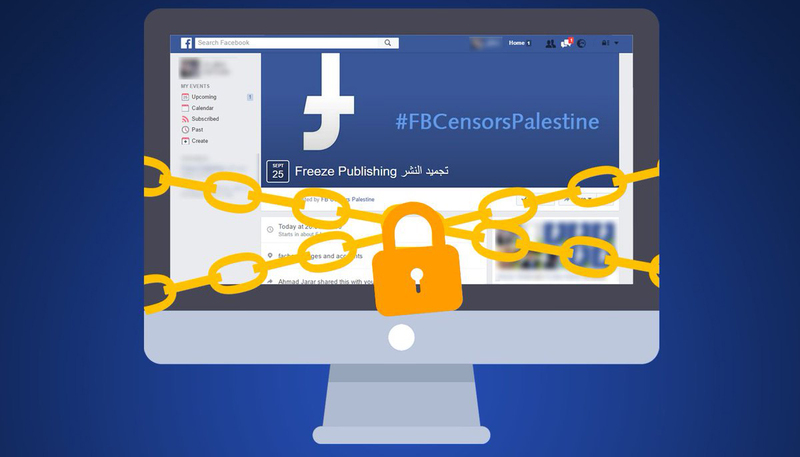 While recognizing Facebook’s attempts to engage civil society representatives, we, the undersigned organizations, fear that when Facebook or other social media companies negotiate special terms with states to govern censorship on their platforms, they risk becoming tools of those states, rather than being the platforms for free expression they aspire to be. When they do it with a state engaged in a decades-long occupation, like Israel, they similarly risk becoming agents of occupation and oppression. In short, in either case, they risk implicating themselves in limiting the very right they seek to promote.